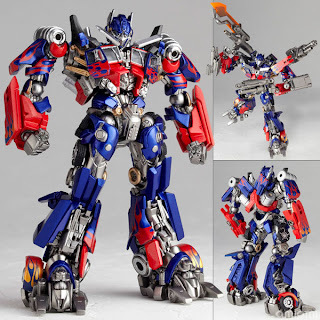 optimus prime DOTM get re-issue in dec 2011. initial release at september are sold out. Honorable Autobot leader Optimus Prime gets the royal Revoltech treatment! That means amazing posability thanks to the clever Revoltech joint systems (19 points of articulation! 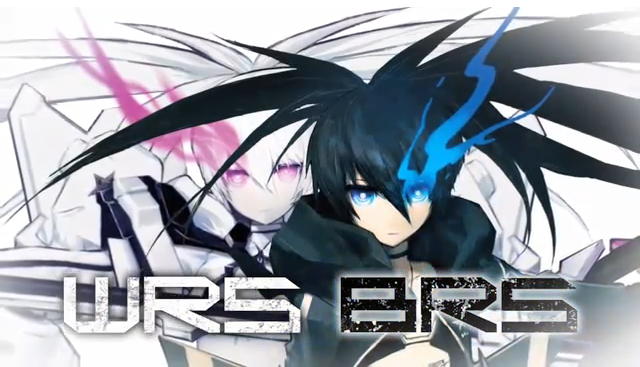 ), and of course the stunning detail we've come to expect from this series. 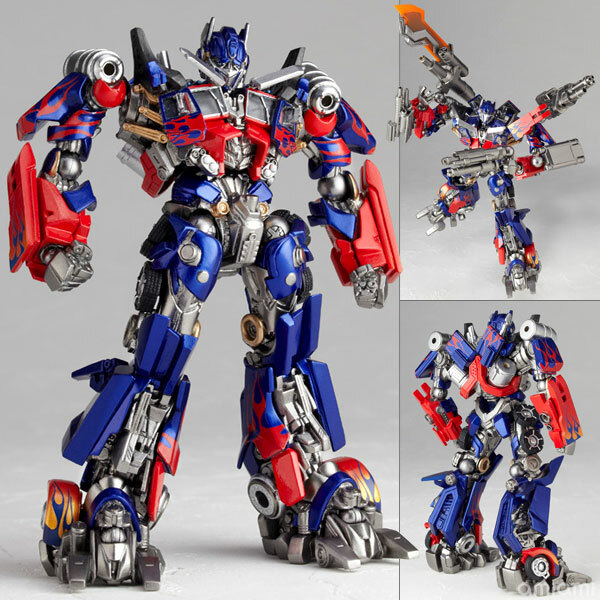 Based on Optimus as seen in Transformers: Dark of the Moon, the figure comes with all the accessories shown here, including a bevy of weapons and interchangeable hands. Optimus stands a majestic 14cm tall. The figure does not transform to vehicle mode, but you can still have tons of fun with Optimus in his big 'n' burly robot mode!